Indian National Science Academy (INSA) medal for Young Scientist (2015). Young Scientist Platinum Jubilee Award (2013) from the National Academy of Sciences, India (NASI). DBT-CREST Fellowship Award for 2011-2012 from the Department of Biotechnology, Government of India, New Delhi. My lab’s focus is on finding novel genes and understanding their functions in cellular signaling in response to limiting Phosphorus (P) conditions. Plants activate a diverse set of responses to face P scarcity and consequently alter physiological, biochemical and developmental processes. We are targeting P solubilizing enzymes, membrane remodeling genes and root development to improve resource acquisition and utilization in rice and chickpea. We employ modern tools of genomics like transcriptomics, metabolomics, phenomics, transgenesis and gene editing to pinpoint candidate genes for improving plant performance in low P input system. Ensuring food for all is a big challenge in changing climate, shrinking agriculture land and water resources. Green revolution targeted aboveground part and relied on chemical fertilisers combined with irrigation for increased crop production. Future agriculture has to be a low input system and therefore, environmentally sustainable. A part of solution to this problem lies underground. Plant roots, though not easily inaccessible for study, are fantastic target for crop improvement in marginal soils. We are interested in delineating the molecular mechanisms of root modification for improving P utilization. 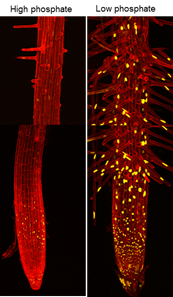 Roots epidermal cells elongate and form root hairs (RH) which are major site for P uptake from soil. Our recent findings revealed key roles of auxins in RH elongation in response to low P in rice and Arabidopsis to capture more P (Giri et al., 2018; Bhosale et al., 2018). We collaborate closely with research team of Prof. MJ Bennett at CPIB Nottingham University, UK for root development studies. We are interested in finding root traits or combination of traits for improving resource acquisition form marginal soils. Besides auxins, Jasmonates (JA) also play extensive roles in root architecture alteration under nutrient deprivation (Singh et al., 2015). Our interest lies in understanding molecular regulators of root development and using them in improving root for better uptake efficiency. Cellular membranes comprise of phospholipids carrying about 1/3rd of total organic P in a cell. A fascinating remodeling occurs in membranes where phospholipids are hydrolysed to release P for key cellular reactions under P scarcity, and P-lipids are replaced by P-free lipids like galactolipids, sulpholipids to keep membranes functional (Mehra et al., 2015; Mehra et al., 2016). More interestingly, the intermediate molecules like DAG or PA of lipid catabolism are involved in cellular signaling not necessarily pertaining to low P response. Understanding and manipulating this intriguing display of cellular P reutilization is our strategy for generating environment resilient crops. We are targeting several enzymes of this pathway like GDPDs, MGDGs and DGDGs for understanding their roles in rice using biochemistry, molecular biology, transgenesis and genome editing approach. This colorful set of enzymes named so due to their purple color in aqueous solution, play diverse roles in plants besides their key role in organic-P solubilization inside and outside the cell. 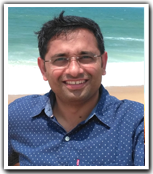 PAPs fall under the larger category of Acid Phosphatase (APase) and may regulate cellular signaling or influence processes like P-remobilization, senescence, seed phosphate loading, ROS detoxification, carbon metabolism by the virtue of their signaling and enzymatic activities (Mehra et al., 2017; Bhadouria et al., 2017). Besides their transcriptional regulation by environmental stresses, PAPs are subjected to extensive post-translational modifications to execute their actions. Another class of APase known as Halo Acid Dehalogenases (HADs) is hydrolases with strong catalytic activity (Pandey et al., 2017). We are interested in discovering new APases, finding their biochemical attributes and engineering them with enhanced biochemical activity for manipulating their biological actions towards crop improvement for low input production. Giri J, Bhosale R, Huang G, Pandey BK, Parker H, Zappala S, Yang J, ... Bennett MJ (2018). Rice auxin influx carrier OsAUX1 facilitates root hair elongation in response to low external phosphate. Nature communications 9 (1), 1408. Bhosale R, Giri J, Pandey BK, Giehl RFH, Hartmann A, Traini R …..Bennett MJ (2018). A mechanistic framework for auxin dependent Arabidopsis root hair elongation to low external phosphate. Nature communications 9 (1), 1409. Huang G, Liang W, Sturrock CJ., Pandey B K, Giri J, Mairhofer S, Wang D, Muller L, Tan H,…….. Zhang D. (2018) Rice actin binding protein RMD controls crown root angle in response to external phosphate. Nature communications (in press). Ajmera I, Shi J, Giri J, Wu P, Stekel DJ, Lu C, Hodgman TC (2018). Regulatory feedback response mechanisms to phosphate starvation in rice. npj Systems Biology and Applications 4 (1), 4. Pandey BK, Mehra P, Verma L, Bhadouria J and Giri J (2017) OsHAD1, a haloacid dehalogenase-like APase enhances phosphate accumulation. Plant Physiology 174: 2316-2332. Soda N, Verma L and Giri J (2017) CRISPR-Cas9 based plant genome editing: Significance, opportunities and recent advances. Plant Physiology and Biochemistry (In Press). Bhadouria J, Singh AP, Mehra P, Verma L, Srivastawa R, Parida SK and Giri J (2017) Identification of purple acid phosphatases in chickpea and potential roles of CaPAP7 in seed phytate accumulation. Scientific Reports 7: 11012. Bandyopadhyay T, Mehra P, Hairat S and Giri J (2017) Morpho-physiological and transcriptome profiling reveal novel zinc deficiency-responsive genes in rice. Funct. Integr. Genomics doi: 10.1007/s10142-017-0556-x . Sharma G, Giri J and Tyagi AK (2017) Sub-functionalization in rice gene families with regulatory roles in abiotic stress responses. Critical Reviews in Plant Sciences 35; 231-285. Mehra P, Pandey BK and Giri J (2017) Improvement of phosphate acquisition and utilization by a secretory purple acid phosphatase (OsPAP21b) in rice. Plant Biotechnol. Journal (DOI: 10.1111/pbi.12699. Mehra P and Giri J (2016) Rice and chickpea GDPDs are preferentially influenced low phosphate and CaGDPD1 encodes an active glycerophosphodiester phosphodiesterase enzyme. Plant Cell Rep. doi:10.​1007/​s00299-016-1984-0. Mehra P, Pandey BK, Giri J (2016) Genome-wide DNA polymorphism in low Phosphate tolerant and sensitive rice genotypes. Scientific Reports 5. Mehra P, Pandey BK, Giri J (2015) Comparative morphophysiological analyses and molecular profiling reveal Pi-efficient strategies of a traditional rice genotype. Front. Plant Sci. doi: 10.3389/fpls.2015.01184. Singh AP, Pandey BK, Deveshwar P, Narnoliya L, Parida SK and Giri J (2015) JAZ repressors: Potential involvement in nutrients deficiency response in rice and Chickpea. Front. Plant Sci. 6: 975. Mehra P, Pandey BK and Giri J (2015) Genome-wide DNA polymorphism in low Phosphate tolerant and sensitive rice genotypes. Scientific Reports (In Press). Sharma G, Giri J and Tyagi AK (2015) Rice OsiSAP7 negatively regulates ABA stress signalling and imparts sensitivity to water-deficit stress in Arabidopsis. Plant Science 237: 80-92. Tyagi H, Jha S, Sharma M, Giri J, Tyagi AK (2014). 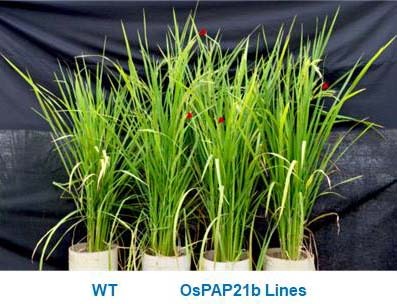 Rice SAPs are responsive to multiple biotic stresses and overexpression of OsSAP1, an A20/AN1 zinc-finger protein, enhances the basal resistance against pathogen infection in tobacco. Plant Sci. (In press). Giri J, Dansana PK, Kothari KS, Sharma G, Vij S and Tyagi AK (2013) SAPs as novel regulators of abiotic stress response in plants. BioEssays 35: 639-648. 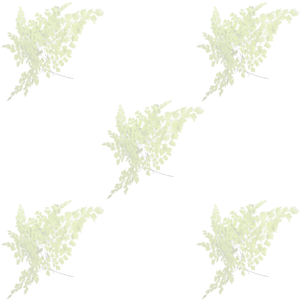 Giri J (2011) Glycinebetaine and abiotic stress tolerance in plants. Plant Signal. Behav. 6: 1746- 1751. Giri J, Vij S, Dansana P, Tyagi AK (2011). Rice A20/AN1 zinc-finger containing stress-associated proteins (SAP1/11) and a receptor-like cytoplasmic kinase (OsRLCK253) interact via A20 zinc-finger and confer abiotic stress tolerance in transgenic Arabidopsis plants. New Phytologist (doi: 10.1111/j.1469-8137.2011.03740.x). Kathuria* H, Giri* J, Nataraja* KN, Murata N, Udayakumar M, Tyagi AK (2009). Glycinebetaine-induced water-stress tolerance in codA-expressing transgenic indica rice is associated with up-regulation of several stress responsive genes. Plant Biotechnol J 7: 512-526. *As joint first author. Vij* S, Giri* J, Dansana PK, Kapoor S, Tyagi AK (2008). The receptor-like cytoplasmic kinase (OsRLCK) gene family in rice: organization, phylogenetic relationship, and expression during development and stress. Mol Plant 1: 732-750. *As joint first author. Pandey BK, Mehra P and Giri J (2013) Phosphorus starvation response in plants and opportunities for crop improvement. In: Tuteja N, Gill SS(eds), Climate Change and Abiotic Stress Tolerance. Wiley-VCH Verlag GmbH & Co, Weinheim, Germany, pp 991-1012. Ray S, Dansana PK, Bhaskar A, Giri J, Kapoor S, Khurana JP, Tyagi AK (2009). Emerging trends in functional genomics for stress tolerance in crop plants. In Heribert Hirt, ed, Plant Stress Biology. WILEY-VCH Verlag GmbH and Co. KGaA, Weinheim, pp 37-63. Tyagi AK, Khurana JP, Khurana P, Kapoor S, Singh VP, Singh AK, Thakur JK, Gupta V, Anand S, Vij S, Jain M, Ray S, Agarwal P, Arora R, Sharma P, Mukerjee S, Nijhawan A, Giri J, Khurana R (2005) Expression and functional analysis of rice genes involved in reproductive development and stress response. Rice Genetics V, 301-334, IRRI, Philippines. Dr. Jitender Giri's interview on popular science programme " Eureka"
DBT News "NIPGR develops Genetically Modified rice that can reduce phosphorus fertilizer usage"
Vigyan Prasar/India Science Wire " Scientist develop new rice plant that can help save foreign exchange"